Applications are invited from UNMARRIED MALE CANDIDATES (fulfilling the conditions of nationality as laid down by the Govt. of India) to join the prestigious Indian Naval Academy, Ezhimala, Kerala for a four-year degree course under the 10+2 (B Tech) Cadet Entry Scheme. Other details like age limit, educational qualification, selection process, application fee and how to apply are given below. Who can Apply: Candidates who have appeared for JEE (Main) 2017 exam. Call up for Service Selection Board (SSB) will be issued on basis of JEE (Main) 2017 All India Rank. (b) Eye Sight: The minimum acceptable vision standards for distant vision is 6/6, 6/9 correctable to 6/6, 6/6 with glasses. Should not be colour/night blind. Selection Process: IHQ of MoD reserves the right to fix cut off for shortlisting the application for SSB based on JEE (Main) All India Rank- 2017. No communication will be entertained on this account. SSB interviews with shortlisted candidates will be scheduled at Bangalore / Bhopal / Coimbatore / Visakhapatnam from Feb - Apr 18. 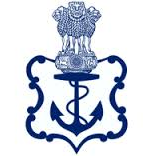 How to Apply: Candidates are to register and fill application on the recruitment website www.joinindiannavy.gov.in. The candidates are to apply from 11 Nov 17 to 30 Nov 17.